This motorbike vinyl is perfect for showing visitors to your home your passion for the hobby! 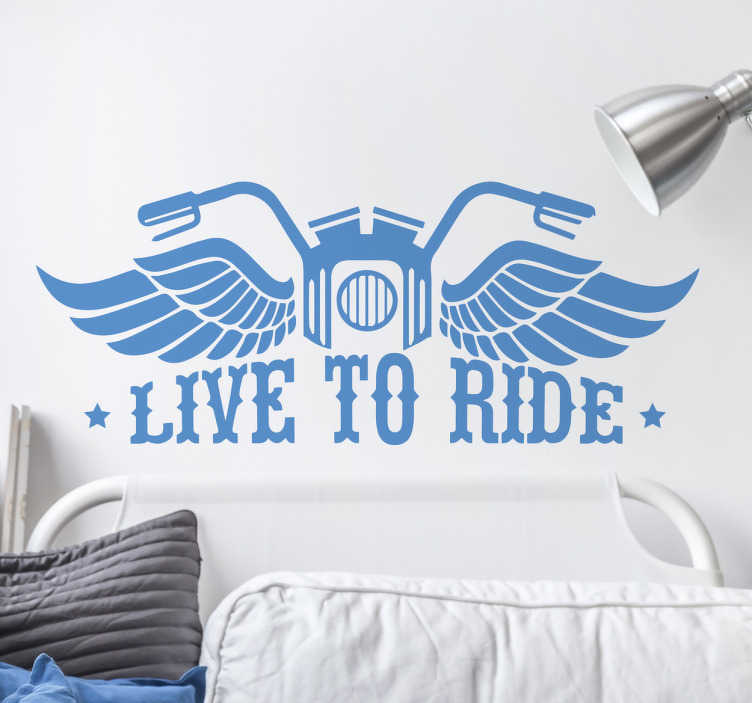 Featuring some handlebars and angel wings alongside the text "live to ride", this sticker would be fitting in any room in the home- hallways, livingrooms, bedrooms and even outdoors! Our stickers are made form a high-quality material that is anti-bubble and as easy to apply as it is to remove!